Welcome to Burn City Disco Thirteen! 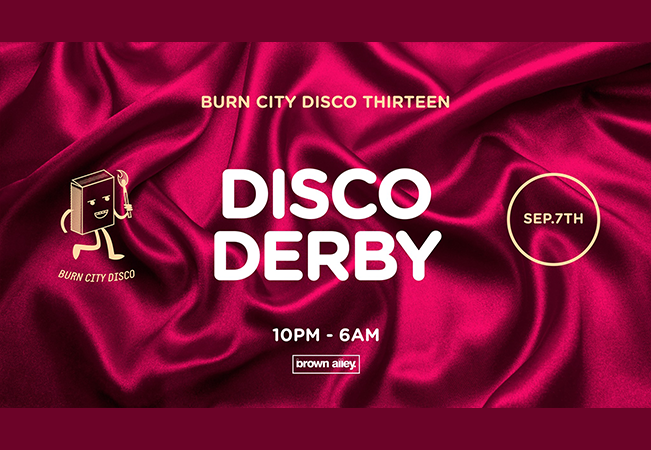 For this edition Burn City Disco present to you Disco Derby! All your favourite resident disco DJs will be playing back to back and versing each other in a disco battle royale. This will be one for the history books!